After a month of evenings in front of the TV, the German team won their fourth World Cup on Sunday evening hailing them the first European team to win the World Cup in South America. So whilst we’ll miss watching baby faced Manuel Neuer and impeccably Aryan-eyed Andre Schurrle, today we’ve cast our eyes on Germany for a different reason – fashion. Here we take a look at some of Germany’s most influential fashion figures from Karl Lagerfeld to Heidi Klum. Since being scouted at Germany’s 2006 Fifa World Cup, Hamburg born Victoria’s Secret model Toni Garrn hasn’t looked back. After signing with Calvin Klein at fifteen alongside best friend Karlie Kloss, her career has gone from strength to strength, becoming an official Angel for Victoria’s secret in 2012. She also happens to be Leonardo DiCaprio’s girlfriend. Some girls have all the glück! Hailing from Frankfurt Ellen von Unwerth got her first taste of fashion as a model, before moving behind the camera lens. Her first high profile works were the infamous Guess campaigns of the ‘90s, which stared fellow German Claudia Schiffer amongst others. She still remains at the pinnacle of pushing the boundaries of female sexuality through her strong and glamorous imagery. Despite the fact that the eponymous founder is no longer with her namesake label, Jil Sander remains a stalwart at fashion week. Founded in the late ‘60s in Hamburg, Jil suffered a shaky start, but her minimalist designs in modern tailoring saw the label flourish in the ‘80s and ‘90s, leading to her coronation as the Queen of Less. Awarded the Verdienstorden der Bundesrepublik Deutschland for her fashion achievements, the notoriously private Fräulein last left the company in October 2013, and is no doubt spending her time listening to her favourite German composer Bach. Spotted at a local discothèque in Düsseldorf at the age of seventeen, Claudia Schiffer’s Bridgette Bardot beauty soon catapulted her to supermodel status cementing her as one of the original ‘90s supers. Globally recognised through her campaigns with Guess, she soon became the face of Chanel. Now married to English film director Matthew Vaughn, she is raising her three children in the English countryside, a world away from her early aspirations of becoming a lawyer. Born in Schoneberg in 1901, Marlene Dietrich is now deemed part of the German capital Berlin. Becoming an iconic actress in Hollywood in the 1940s, having received American citizenship in 1939, despite her distance from her German roots, and the tension that endured between her and her home country after her move to the US, the mix of androgyny in her style, which was quite unheard of at the time, and her air of glamorous mystery which she evoked are thought to be a result of her strict Bavarian childhood. Hailing from a small town just outside Cologne, Heidi Klum won a modelling contract before she had even left school, and before long her face and body became synonymous with the annual Sports Illustrated Swimsuit issue and Victoria’s Secret runway show. Having made the successful transition into television presenting and producing, including receiving an Emmy nomination in 2008 for her work on ‘project Runway’, she was given American citizenship the same year, although she holds it dually and proudly with her German passport. 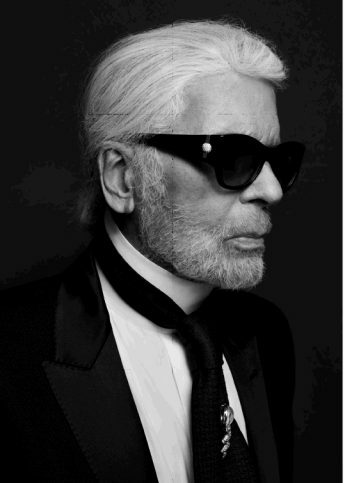 The ultimate Kaiser of fashion is Hamburg born Karl Lagerfeld. There isn’t enough time in the day to reel off his achievements or his influence, but his contribution to fashion is like no other. Beginning his career at Balmain in the 1950’s; and now heading up Chanel, Fendi and his namesake label, his instantly recognisable image and artistic talent is constantly pushing the preconceived ideals of fashion. From sending leggings and flat sandals down the couture runway, to having a pregnant pride close the most recent Chanel show, this German gentleman is definitely doing his homeland proud.